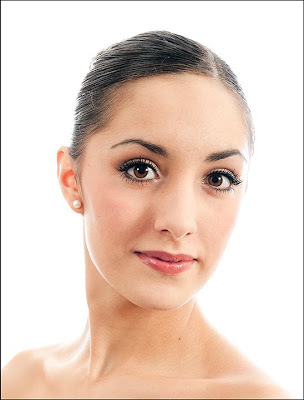 BALLET NEWS: Alexandra Fern interviewed for "Cupcakes & conversation ..."
Alexandra Fern interviewed for "Cupcakes & conversation ..."
Cupcakes & Conversation with Alexandra Fern, Professional dancer, who will shortly be joining the UK’s newest professional ballet company, Ballet Theatre UK. Getting up and doing a ballet class, a full day of rehearsals and always very loud music (that I can dance around to) and a BIG coffee!! What are you looking forward to about joining Ballet Theatre UK ? Touring the country and meeting new people. I am most looking forward to working in a professional company and being paid for your art! Good question!! I would like to dance with Steven McRae. I have seen him recently on stage and in a couple of interviews and I think he has a mentality like me (feisty) – so that would be fun and explosive. I would also love to dance with Jeremy Curnier, who is very close to me but I have never yet had the opportunity. After the initial preparation – sewing on the ribbons elastics etc, to be honest I put them on before a class, and do constant relevés from half toe to full pointe for a good 5 minutes. I then go to the barre and practice slow rises in parallel and in first position to mould the shoes to my feet. I find this the most helpful for me but I know I will learn many new traits in the new companies I explore! I took a four week apprenticeship with the Balbir Singh Dance Company where I learned Kathak, since then I have been keeping myself fit. I am currently living in my home town of Doncaster - so I use the local gym and I have been going back to my first dance school where I danced for 10 years. I’m getting a good relaxing holiday before I dive back into the dancing world, it seems once you’re in its hard to have a break! Eva Longoria, Cheryl Cole, former NBT dancer Jonathan Olivier, Jimmy Carr, Angelina Jolie and Steven McRae. I am sure it would be a fabulous evening – one which I am most looking forward to if it can be arranged? Just how competitive and determined I am! I have my goals and I can’t let myself not achieve them. I think it scares people sometimes – but it was the way I grew up dancing at my local dance school against others in competitions across England. Well I got into dancing from just going with my best friend to an after school class at the age of 6. After a couple of months she quit and I loved it so I carried on. Later when I was introduced to the professional world I watched the Northern Ballet Theatre with my mum. It soon became my favorite ballet company and we went to every performance in Yorkshire. I soon developed my favorites and always looked out for them in performances; in particular they were Jonathan Olivier, Pippa Moore and Victoria Sibson. Never give up – don’t listen to the people that put you down. If you want it enough and you work as hard as you can – your dream will come true. I would have to say the pas de trios from ‘Le Corsaire’. This is a very classical piece which tested my strengths as a dancer in terms of stamina, performance and mostly technique. I worked so hard on this challenge whilst touring with Ballet Central and I was rewarded with a couple of performances which were well worth all the hard work I had put in. I do have a close second which would be ‘Stars and Stripes’ choreographed by George Balanchine. I performed this solo for my graduation – which was a challenge in itself. I really enjoyed performing this after working on it alone in the studios at Central for months before the event. Well...I fell over whilst performing with Ballet Central in Grantham. I was performing a piece called 'When No One Is Looking’ (choreographed by Phillip Aiden) which was based on mannequins in a shop window. They come to life and dance the whole night through, and return to the shop window when the sun rises. The dress I was wearing was a full sequin dress with high black heels. A few struts backwards and my heel got caught in the bottom of my dress and I ended up flat on my bum on stage in front of a full audience!! By this time the other 5 girls I was dancing with were in secret fits – we laughed it up backstage and the video the next day was side splitting! What was funniest though – is that my mum in the audience didn’t even realise! I’d love to create my own version of Darcey Bussell’s costume for ‘La Bayadere’ – but in deep purple. I think it is so beautifully classy and stunning. I’d love to perform in something like that! I would have lots of sequins and a gorgeous headpiece that sparkled in the theatre lights! Getting into the Central School of Ballet and making it through three years – it was one of my dreams when I was younger! I’d love it to be Eva Longoria. She’s beautiful, successful and she brought herself from nothing to someone I aspire to – I’d hope I could be that inspiration to someone one day. Do you have a "signature step" - one that you find easier than others ? I’m a natural turner and was always told that, but I would say my ultimate signature step would be a grande jeté. I’m very lucky to have good flexibility and a high elevation so this makes this step my favorite. Everyone in class always smiled at me when we would head over to the corner and the teacher would start marking a grande allégro exercise – my face would be beaming all over, I just love it! I am very creative in arts and crafts. I make cards for only my closest of friends and I guess they are the only ones who know how much I enjoy creating things. When I was younger I designed my own label and clothes – I’d love to do it for real someday. What a lovely interview, I know Alexandra and I can vouch for her - she is such a hard worker - she deserves to do really well. Good Luck Alexandra for the future. wow I learn so much about dancing from your blogs you are awesome . Beautiful blog-love your header image! gorgeous! Thank you for giving me yet another glimpse into the world of Ballet. thank you for stopping by and taking the time to comment. My first dream was to be a ballerina, always waiting on Xmas mornings for those ballet slippers, something so magical in the idea of them. Just wanted to say thanks for your lovely comment on my blog, it was so kind of you. Your blog is beautiful and very interesting. What beautiful pictures you have too. Thank you for your comments on my blog, you have such a beautiful interesting blog, I am going to come back later and have a really good read! i was a dancer all throughout highschool - i loved ballet! sometimes i wish i'd have kept up with it but it provided me with some wonderful memories and friends growing up. Thank you for the nice comment on my blog! What a wonderful place you have here. I enjoyed reading your interview. Great interview, Elise. Thank you for your kind comment on my blog. Hope you have a wonderful weekend! Thankyou Elise for leaving such a beautiful comment on my blog. It does mean a lot to know someone likes to read what you have to say. Your blog is so interesting and next time my God daughters come up I will show it to them-They are both Dance Mad! Thank you so much for your kind comments about my blog. How in the world did you find me? I just wanted to come by and thank you for your sweet words on my blog. They brought a smile to me face! Have a lovely weekend. Thanks for your sweet comments on my rooster party! What a nice blog you have about ballet and ballerinas! My daughter took ballet for years! Hello Elise, I want to thank you for visiting my blog and being so complimentary! I really appreciate it! I hope you have a wonderful day! thank you for a lovely cmment on my blog. Yours is stunning too, I have never known much about ballet, your blog is superb. it was soo nice of you! and has really made my night! I'd also like to pass on the awards on my blog page, hope you'd like to accept them. Thanks for your sweet comment. You have a lovely blog as well! Thank you so much for stopping by and leaving such a sweet comment. I wish I knew more about ballet (I'm a graceful as a bull in a china shop), but I will certainly enjoy reading your blog. Thank you for visiting my blog and leaving such lovely comments. I really enjoyed having you visit. Please do come back sometime; would love to hear from you. Your blog is very interesting and I appreciate your wonderful photos! I have always loved the magic and grace of ballet! Thank you for the sweet comments on my blog! Thank you for visiting my blog at Love Your Place! Your wonderful comments made my day so much brighter and made me smile! Thank you for enlightening me about the enchanting world of ballet too! Your blog is so beautiful! The interviews with the ballerinas are fascinating to read and your photos are amazing! The ballerina's are so elegant and I love the costumes and set designs too! I read through several posts, and watched some videos about the London Ballet and other ballets too. I even found a pic or two from the Silent Film Era and Golden Age of Hollywood! A ballerina's life is truly lovely! Thanks again Elise! How wonderful that you would stop by my place and leave such lovely words. Such a compliment coming from such a talented writer. Your blog is just beautiful and inspiring. Elise, Thank you so much for stopping by. You have such an lovely blog and such captivating subject matter that I have spent the better part of the afternoon reading it! I've become a follower and will be back to visit soon. Elise, thank you so much for stopping by. You have such an enchanting blog that I have spent the better part of the afternoon reading it. :0)I'll be back to visit soon. Hello Elise! I want to start by saying I love your blog! I adore ballet :). thank you sooo much for stopping by my blog and posting that lovely comment! It meant alot to me! u are very very nice! thank you! Thank you for your sweet comment!Especially since your a journalist. Since I am coming closer to leaving school, I was thinking about if I would enjoy a career in print journalism, since I enjoy languages and writing...If you have a minute, I would be super interested to hear more about your job! I don't know much about ballet, but love learning new things so I'll be checking in here every now and again. Elise, thanks for visiting me:) what a wonderful interview and beautiful pictures...i love ballerinas...they are the epitome of grace and beauty to me!!! Hi Elise - I just thought that I'd pop by to return the compliment. I've always envied ballet dancer being so supple,with their lovely slim legs(I inherited my dads legs - short and chunky). There are so many card and crafting blogs out there and I'm chuffed to bits that you visited mine. I happen to love ballet too. I used to dance when I was a little girl and now my daughter is beginning dance and is excited about ballet. I loved reading the interview and the photos are beautiful. It was so sweet of you to stop by and visit my blog. And thank you so much for the kind words you left as well. I appreciate it immensely. I will be sure to put you in my favorites and visit you again. Good morning Elise~ Thank you for taking the time to leave such a kind comment for me. It really touched my heart. I am going to start putting comments left on my sidebar and am wondering if you wouldn't mind if I include yours. Your blog is gorgeous! LOVE your banner. Our good friends have 4 daughters in ballet here in our town - one is a Principal dancer and has been the Sugar Plum Fairy the past two years in The Nutcracker. Her younger sisters are all on pointe and dance beautifully. Their dancing always brings tears to my eyes. Just wanted to thank you for stopping by my blog & visiting me. I enjoyed reading the world of ballet, getting out of my prim world for a moment. Thank you for stopping by to view my blog and for the lovely comments. It is so nice to meet new people and share different interests. Thanks for stopping by my blog.. I always wanted to be a ballerina when I was small. After high school I signed myself up for a class or two -- I learned real quickly -I realized very quicky - grace was something I did not have.. Stop by anytime! Hiya Elise,Thankyou for the lovely comment you posted on my blog.What a fab job you have and your blog is so interesting,love all the ballet pics. Thanks for visiting my blog and your beautiful comments- you made my day!!! Your blog is lovely.I think its so clever that you show the ballerinas signatures at the end of the posts! Bravo! Thanks ever so much for stopping by cupcake studio! Your kind words really mean the world! Wow, your blog is just lovely, especially the gorgeous photos of the dancers! Have a great week. Such a great interview! I'm so glad I found your blog. Thanks for the super sweet comment you left on mine!!! It totally made my day! Elise, thank you for leaving such a sweet comment on my bloggie. I think your bloggie is very lovely and the photos look so professional. I am intrigued by the pink slippery shoey thingys, are the good to chew? You have some great interviews here. The pictures are wonderful! The flexibility and grace of these dancers is surreal. Thank you for stopping by my blog and for your kind words:) I enjoyed reading through your posts and looking at your beautiful photography...very lovely! I just wanted to stop by and thank you for the kind comments you left on my blog. I appreciate knowing someone is reading. The photos on your blog are beautiful! Thank you so much for visiting my blog and for your lovely comment. You have a very interesting and beautiful blog. That's a very inspiring interview for any would be ballet dancer and beautiful photos of Alexandra. under Library 2 - Special Interest Blogs. Check it out. What a gorgeous blog Elise! I'd love to dance more with the Man-of-the-House, but he's 14 inches taller than me, so we are a couple of totally mis-matched klutzes on the dance floor. I sort of rest somewhere under his left armpit! Are there any principal pairs with such a height disparity anywhere in the ballet world? If so, please let me know how they cope. So interesting - I'm adding you to my blog roll! I'm a huge fan of ballet, and you have so much wonderful information. That's cute!! Pictures are great!! So nice to "meet" you. Thank you for posting such a nice comment on my blog. I appreciate it so much. You have a lovely blog as well and I love the photos. Thank-you for your kind comment via Sande's blog, and yes I can draw dancers. I was a ballet dancer for 13 years and dance lives on in my heart, my art and my youngest daughter! Thankd for stopping by my blog, you are too sweet! I love this post, what a pretty ballerina!! Hi Elise, thanks for stopping by my blog! I am clumsy and can't dance, etc. etc. but I love visiting your blog too! Hi Elise, you seem to be a very talented lady. I love your ambition! Your life seems so exciting to me, just the fancy junk dealer that I am! It's such an amazing world being able to have a peek into how others live through this powerful land of blogging. Thanks for visiting my little part of the world.Look forward to coming by again. Thanks for stopping by, your comment really brightened my day. What an inspiring interview and pictures! I think every girl has wanted to be a ballerina at some point in her life, so this is very relatable. Thank you for coming to visit my blog Elise, I am so honored! Although I know nothing about the ballet, I am always impressed with the art of it. How fun it is of you to be able to journal about it!!! Thank you for your sweet words on my blog! It is a pleasure to meet you, and I so enjoyed your interview with Alexandra Fern! Great interview! I loved her "best piece of advice". Wow!! I think you just gave me the kindest compliment I've received in a while. It made my day, it honestly did! Your blog is lovely. I especially enjoy the header. There is something so poetically wistful about ballet shoes. I often want to paint them. Thank you for the kind comment you left on my blog. I just found your blog, and it is delightful! Tnx a lot for ur encouraging words in my blog.I appriciate it a lot. Wat a wonderful space u have!! !Luv this amazing post!